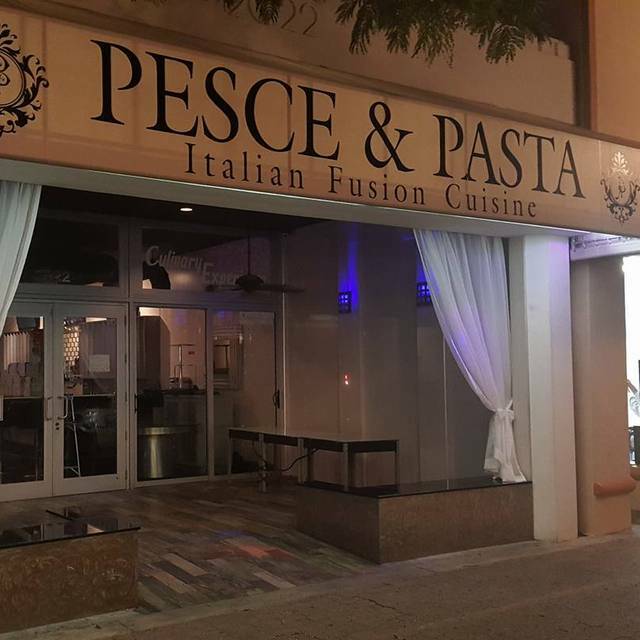 You must make reservations at least 5 minutes in advance of the time at Pesce & Pasta. 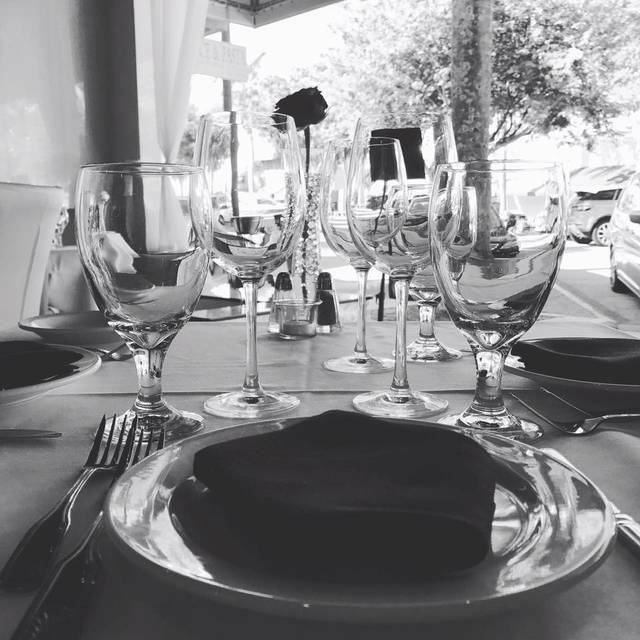 Best Italian Food and the most romantic and fine ambiance combine to give you a unique dining experience. On first look the menu seemed very pricey. When we were brought a nice plate of cheese, bruschetta, zucchini and great bread then offered a refill I changed my tune. House wines were acceptable at $6 and the volume of muscles in my appetizer sealed the deal. Main dish was a delicious piece of red snapper and we had no room for dessert. The room is sparsely decorated and service was attentive and friendly. Value rating is based on menu pricing NOT my final perception. Inventive, complex flavored food at a great price point. 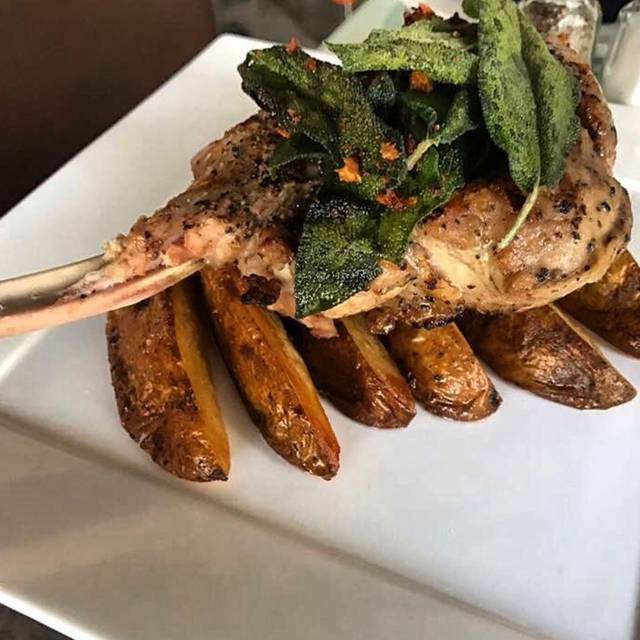 Peace & Pasta offers gourmet food fit for both the every day diner and the gourmand. Very fairly priced, eclectic wine list. Topping it all off is the exceptional service. Four of us enjoyed entrees of chicken scarparella, veal piccata and two differently prepared mahi mahi dishes. We will definitely return again very soon. Wait staff was not trained properly and very unimpressive! Atmosphere lacked for a good restaurant . Food was good not great and we felt rushed to order and was very disappointed overall!! Great food with excellent service! Very authentic. Lobster ravioli was amazing. Food and service was quite good. We sat outside so there was a lot of loud music from a variety of different locations. Also very nice that they provided complimentary bread, bruschetta, fried zucchini, and chunks of Parmesan. Friendly, extraordinary Chef, great local color of downtown Hollywood. Try the seafood risotto. My first time at this restaurant that I selected based on other reviews. I was not disappointed. Excellent food, attentive service and an atmosphere that allowed table conversation. Simply excellent. The food was different, not bad just not what was perceived. However, the two person staff were losing the race on efficiency- totally missed the simplest entre ordered which was declined when offered, dirty dishes were being either left on the table after customers left or apparently placing a lot of them on the bar was normal. I seriously hope they realize espresso isn't really American. Everyone at the table remarked to the waiter who repeatedly insisted the beverage in the espresso demitasse cup was American. Hey, it's not! Thank you for your surprise, you were listen to the birthday greetings. Thank goodness you had a spare moment. We had a great dinner after a day at the racetrack. We found this place on OpenTable and it was outstanding. Service was great and the food was delicious. The food was delicious and in very large portions. So much that we were able to eat the entire next day with left overs. 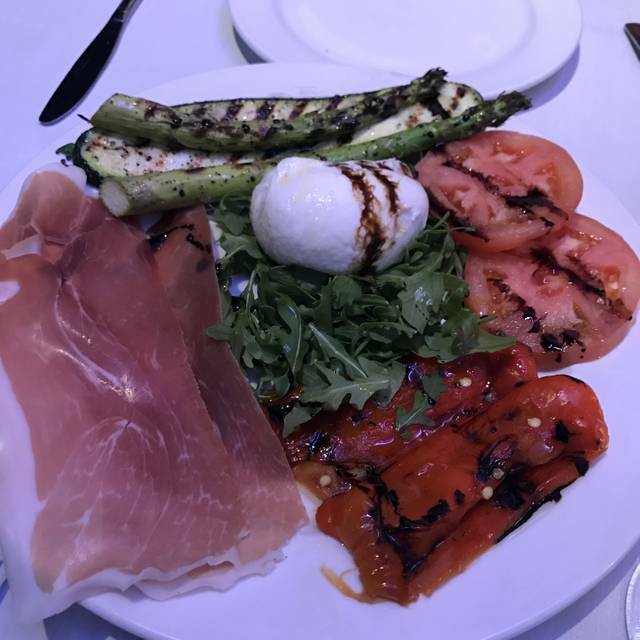 The Antipasto of burrata and grilled vegetables was delicious. My husband had linguini with clam sauce which we asked be red sauce instead of white, beautifully done. I had the stuffed snapper, yummy. Fantastic food. Absolutely fabulous. It was very slow, but maybe that's the authentic Italian dining experience. Best risotto I’ve ever had, just WAO! Definitely coming back soon! The food was adequate but we had to wait about 30 minutes to be notice, then another 15 for our wine and finally about 30 more for our food after ordering. There were two large parties and the staff was overwhelmed but seemed to spend a lot of time chatting with some tables more than ours. While the food was good - really just the fried calamari and the parm entrees were very large the service was a nightmare. The restaurant looks like an office space turned into a dining room with just plain tables and chairs and white curtains to make it look a little less bland. None of the servers spoke English, except for the person who claimed to be the manager but she didn’t look over 14 years old and likely hasn’t had much experience in the service industry. They had a 25 percent gratuity option on the check - but it turned out it was added automatically and not just an option. Before the manager even came to our table she said - this is about the tip? We are having issues with our computers and the 25 percent has been added automatically. Why wouldn’t they tell us this while bringing the check? Clearly they are getting away with this and only bring it to the attention of guests who are smart enough to check the bill. Our to go food was left on an empty table and we had to remind the server to bring it. Getting water took almost 10 minutes when we first arrived and our waiter kept pacing the restaurant aimlessly even when there was drinks and food to be delivered. The food and price wasn’t even good enough to have us good back due to the lack of professionalism and knowledge of the staff. Hello, we're sorry that you had a bad experience at our restaurant. The 25% error in the system just happened to 2 tables, I had just finished talking to the first one when my server called me to yours, that's why I knew it was about that. We were able to fix the problem after that. I'm the manager and I know I look young but I'm actually 28 and I approached the issue as any "older looking" manager would. Our servers weren't walking aimlessly they had more tables beside yours since we were full. Second visit this week. Brought a friend who also loved his meal! Tried the seafood ceviche which was a very generous portion. Had the peruvian style seafood rice-much like a paella. Delicious! Again the Tiramisu was outstanding. Can't understand why this restaurant is not packed everyday-it's such quality food at reasonable prices. Will be returning. Great service from Frederico-Thanks! Best lunch I've had in years! I had the Pear Ravioli, my husband had the fish Livornese. He also had the delicious Pasta Fagioli soup. We shared the unbelievable Tiramisu. I loved this restaurant so much that we're going back today and bringing a friend. The dishes at the other tables also looked very appetizing-including a Seaford Ceviche appetizer and the Caesar Salad. All the portions are very generous. Can't wait to try the dinner menu. Wish I could try everything on the menu! Went with a group of 8. Waiter did not approach the table for 15 minutes and was rude. Food took 1.5 hours to come out and server missed one of our guests meals. The place was not busy at all. The restaurant ran out of napkins before we got there so we were using paper towels from the bathroom. Restaurant did not have a manger on duty. They also do not have a full bar - wine only. Absolutely wonderful restaurant! 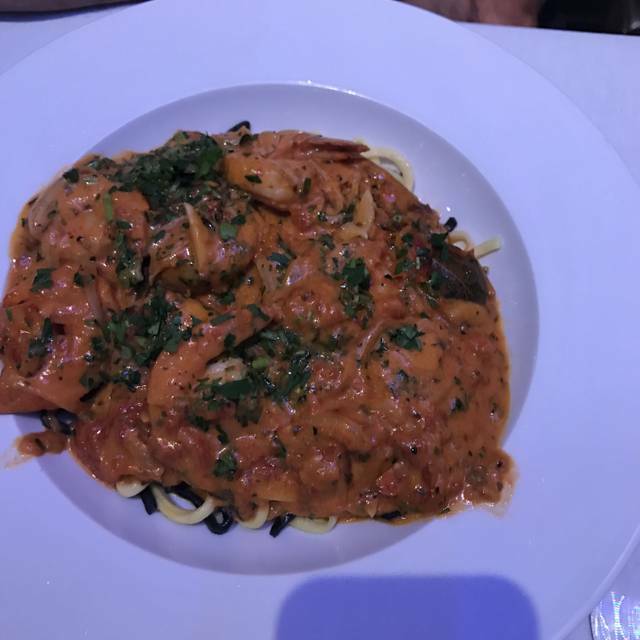 The food was awesome and the service was great I highly recommend this restaurant! Good food, service a bit slow as we were 7 and restaurant empty on Black Friday. Nice location in downtown Hollywood. It was very quiet the night we dined here. In fact, for a long time, we were the only customers. Our Argentinian waiter was great. 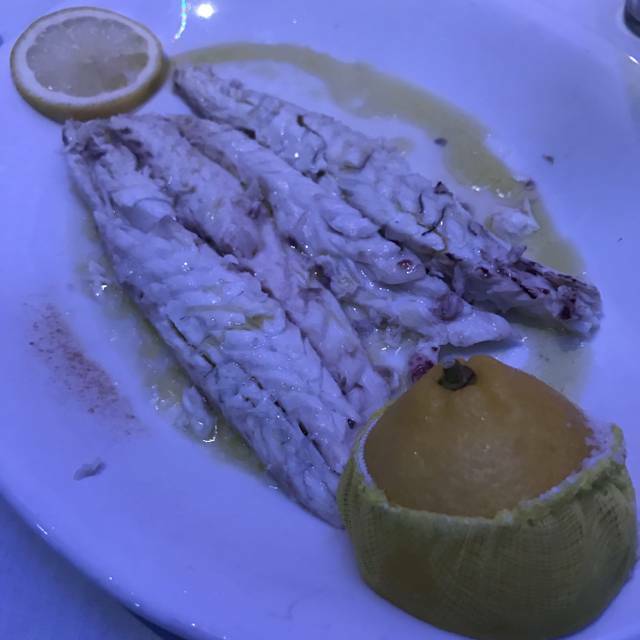 The branzino was really nicely done; very flavorful and tender. The OCTOPUS SALAD/CEVICHE was excellent!! And finally, the chocolate pie/tart was exceptional. Hats off to the pastry chef. Really loved it!! Food and service was outstanding! Definitely will be coming back often. Went for lunch during the week and it was empty. We ordered off the executive lunch menu which was reasonably priced but the food was not up to par. I ordered the pesto pasta with chicken and the pasta was dry and hard, not al dente, it was hard. The chicken was well seasoned and moist. My wife had the pear ravioli and it brought 5 or 6 small raviolis with a plate of sauce. The ravioli were ok and the sauce was good which was a good thing because there was so much left over that I poured it on my pasta and was able to finish my plate. This is the second time that we try this restaurant, Italian is my wife’s favorite, but I don’t plan on going back a third time. Food was disapointing was expecting better. Grilled octopus was good but Veal Parm looked like a pizza and was tasteless. Veal Marsala was sweet and had too much covering the veal. Tried it out for a future dinner with friends but crossed it off the list. Experience was wonderful. The waiter was gracious, knowledgeable about the selections and very accommodating. Everyone enjoyed their food selection. Quiet as we were the only table. Three of us ordered the special but they only had enough for two of us even though restaurant was empty. Pasta under cooked. Meal was fair. Needed more seasoning(no sakrvon calanau and pasta). The "hangout" near the kitchen of the staff was inappropriate...using foul language and speaking politics. Doubt I will go back. The food was delicious and the service outstanding. I’ll recommend it. The food was great. And the one of the girls that work there it was very nice with us. Bad Food , Octopus burned , no flavours , Fish frozen not fresh . Good Vine List . This place is amazing! Authentic Italian food for a reasonable price.